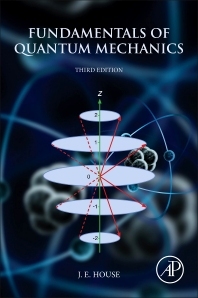 Fundamentals of Quantum Mechanics, Third Edition is a clear and detailed introduction to quantum mechanics and its applications in chemistry and physics. All required math is clearly explained, including intermediate steps in derivations, and concise review of the math is included in the text at appropriate points. Most of the elementary quantum mechanical models—including particles in boxes, rigid rotor, harmonic oscillator, barrier penetration, hydrogen atom—are clearly and completely presented. Applications of these models to selected “real world” topics are also included. This new edition includes many new topics such as band theory and heat capacity of solids, spectroscopy of molecules and complexes (including applications to ligand field theory), and small molecules of astrophysical interest. 10.4 What Point Group Is It?